CKUT’s Community News Collective presents alternative elections coverage on Off the Hour tonight, Tuesday, November 6th at 5pm. Amy Goodman, host of Democracy Now! speaking to CKUT’s Off the Hour about issues that matter to the 99 per cent, third party candidates and the potential impacts on Canadians. 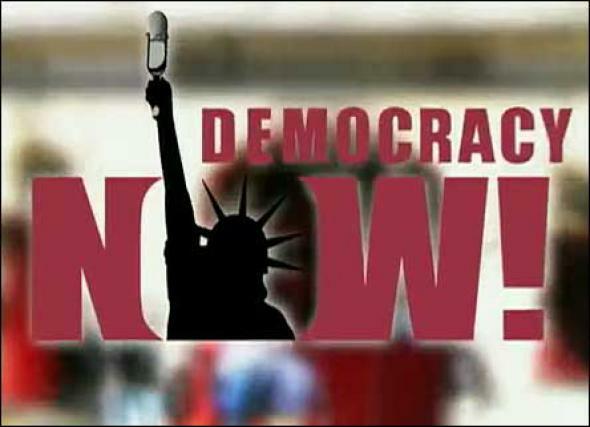 Listen back to on-the-ground analysis of the US presidential elections from both Amy Goodman of Democracy Now! and Guillaume Marceau, a McGill graduate and a participant Occupy Wall Street activist based out of New York. After, MTL director Amy Miller talks about the premier of the Carbon Rush. Also tonight, does Montreal need safe injection sites? The city’s health department has suggested an epidemic of HIV and Hepatitis C infections amongst injection drug users. Also tonight, does Montreal need safe injection sites? The city’s health department has suggested an epidemic of HIV and Hepatitis C infections amongst injection drug users. CKUT’s Off the Hour spoke with a safe injection site advocacy group to get the story. Tune in every Mon-Fri, 5-6pm, for independent, community news on CKUT 90.3FM. Lundi nous diffusons en français avec En Profondeur. Follow us on twitter @CKUTNews.